It´s late October and yesterday the first snow fell, waking up in the morning the thermometer shows minus degrees out. 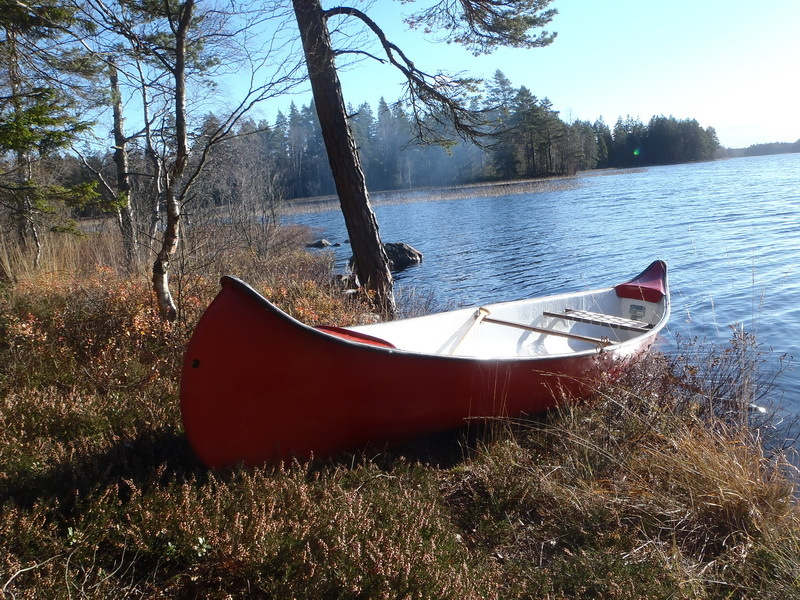 The weather forecast says it´s going to be sunny and little wind, what a perfect day to take the canoe out. The autumn is my favorite time going out with the canoe, there are no mosquitoes around and most people have put their boats and canoes for winter storage and most birds have left for warmer climates. This means it will be very quiet and I am likely to have the lakes all to myself. 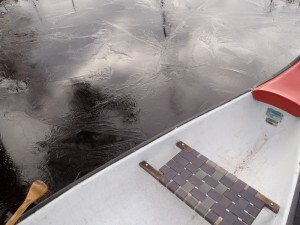 When I start my canoe trip the canoe will have to break the ice on the shoreline before I get out on the open water. 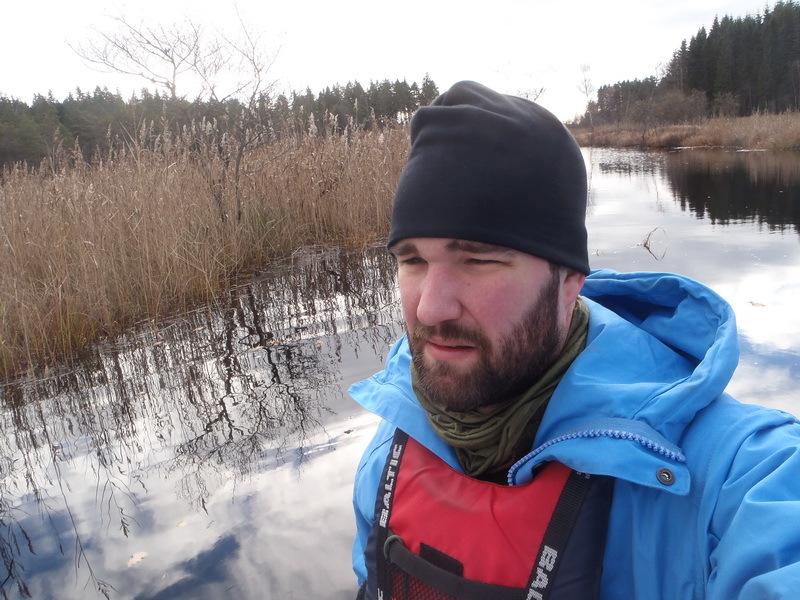 Once out on the lake I can feel the cold crisp air and I am happy I got plenty of layers on me today. The snow is still left on the places where the sun has not yet reached it. When going out like this it´s perfect to stop here and there to discover the island and other parts that is otherwise hard to reach. This means you often findsome really good mushrooms places that no one goes to look for mushrooms. Even if paddling is great, you need to have rest now and then, and why not find that sunny spot that always have slight wind and makes all the wood there nice and dry to make a small fire to have that all important coffee. 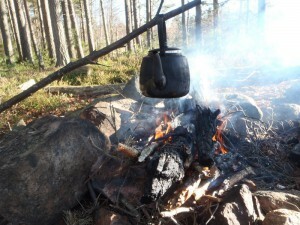 Detta inlägg postades i English, Nature, Ute och omkring och märktes Autumn, canoe, Canoeing den oktober 28, 2012 av Johan, Nordic Bushcraft. Johan Hoogendijk liked this on Facebook. 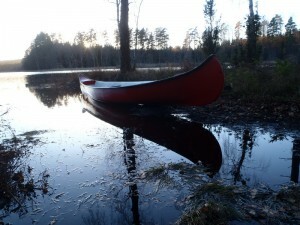 Shoulder season canoeing is is enjoyable for all the reasons you cite. Great photos and great post. 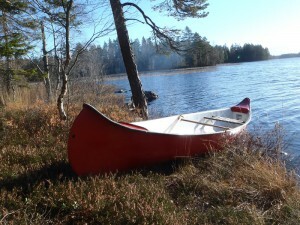 Hope to be able to do some ”Swedish canoeing” with you soon ! Bert Poffé liked this on Facebook.